Buick Apollo Parts are sometimes the only things keeping your vehicle from hitting the trails. And when that all-important part is hard to find, it can certainly be frustrating. But UNeedAPart.com takes the frustration and guesswork out of finding your Buick Apollo Parts. With a network of over 7,000 parts suppliers, UNeedAPart.com offers an incredible selection of dealers to ensure you find the right part at the right price. Best of all, the process couldn't be easier. Simply choose the make, model and year of your vehicle and then choose the part you need. Our locator service will search our nationwide dealer database and you'll receive a price quote from the dealers that have the parts you are requesting. You're in complete control. 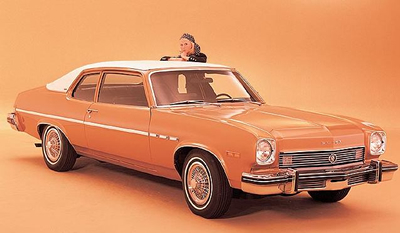 Order brand new Buick Apollo Parts, or save a little money by ordering used. Either way, you'll get the parts you need faster and less expensive than ordering from an automobile dealership. If you own a repair shop, then no doubt you've had a tough time locating Buick Apollo Parts before. If you have, then you'll be glad to know that UNeedAPart.com provides parts locating services to both the professional mechanic and individuals alike. Plus, since the whole process is completed online, there is no expensive software for your company to buy. Simply visit UNeedAPart.com and fill in the necessary information. There's never been an easier way to find Buick Apollo Engine or Buick Apollo Accessories. If you own a body shop, we can even locate Buick Apollo Body Parts so you can have your customer's vehicle looking brand-spanking new! Whether you run a business or you're just fixing it yourself, UNeedAPart.com is your ultimate source for finding Buick Apollo Parts. Finding the right Buick Apollo Parts is easy! To get started, simply use the Parts Request boxes at the top and/or side of the page. You will instantly be matched with auto parts dealers that meet your search criteria. UNeedAPart.com helps you find the new or used auto body parts you need in no time!